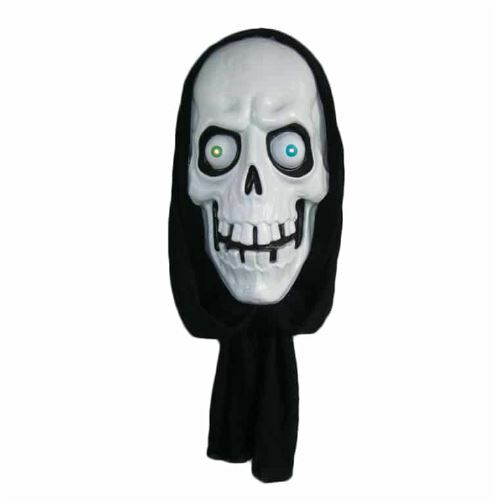 This large prop is amazing, large moulded plastic skull with a black fabric type hood. There is only the front part of the skull as it does need to hang against a flat surface. It has very large bulging eyes and teeth. Battery operated – takes 2 AA batteries. When activated the eyes flash different colours and the skull emits eerie sounds popping sounds. Then it screams, laughs and howls. Skull measures approx. : 70cm and when hanging is 1.05m.